ANZAC Day « Hot & Delicious: Rocks The Planet! From Letterman to a career in comedy – the prolific Daniel Burt. TV writer and comedian Daniel Burt bringin’ the gold. 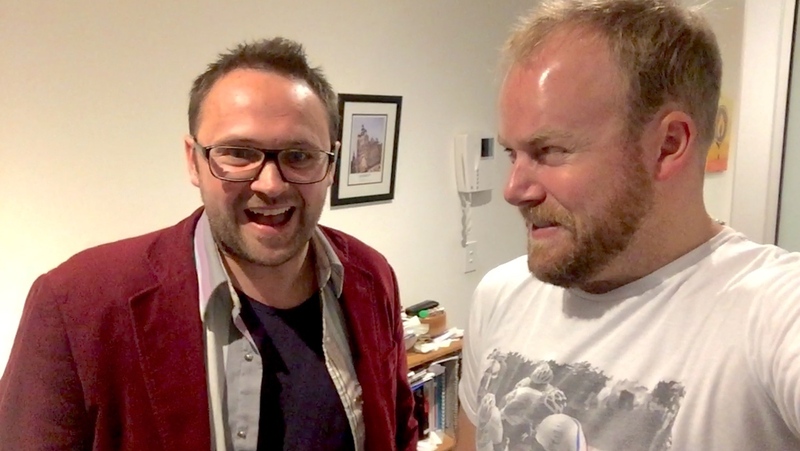 Interview #33 – Daniel Burt (Aussie comedian, actor & writer). Imagine being a writer on one of the world’s biggest TV shows! Australian TV show writer, stand-up comedian, journalist and actor, Daniel Burt is prolific and determined. Determined to love what he does for a living. Back in 2005, Daniel put his money where his mouth is very early in his career when he took every cent he had and a chunk of change from his parents retirement fund to chase a job opening in the USA working as in intern in the writing department of the Late Show with David Letterman. Success! Despite mistakenly opening up an alarmed fire door and evacuating the building on his first day in the job and walking into a door one of the first times he met David Letterman, Daniel Burt worked as an unpaid intern on Late Show with David Letterman for 6 months, gaining invaluable experience on a 5 nights a week comedy show with an audience of millions. Since his return to Australia in 2006, Daniel has worked as a comedic writer on skitHOUSE, Good News Week, The Glass House and a range of other television shows including being one of the founding writers of Channel 10’s The Project TV. Today Daniel Burt writes for Fairfax Newspapers in Sydney and Melbourne (Sydney Morning Herald, The Age), The Guardian (UK), has recently been asked to work as a full-time writer on comedian Charlie Pickering’s news comedy show, Weekly on ABCTV and has toured the world with his stand-up comedy to New York, Paris, the United Kingdom and of course Melbourne International Comedy Festival. We cover a range of topics during our chat including his time with idol David Letterman, the impact that Letterman and Woody Allen have made on his career outlook, his earliest childhood memories, deep and meaningful conversations about ANZAC Day and what it means to Australians, the complexities of war and our respective journeys to Gallipoli, Villers-Bretonneux and Normandy. There’s so much gold in here… Game time! 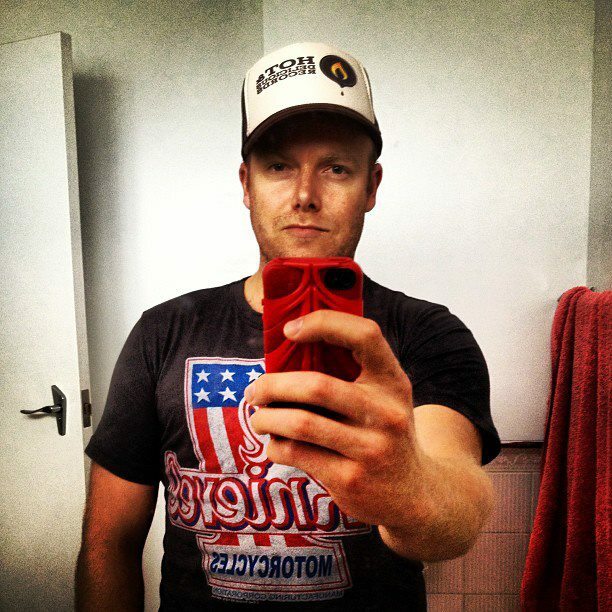 Free Download #33 – Daniel Burt (Aussie comedian, actor & writer). Connect with Daniel Burt on Twitter. And make sure you check out the TV show he’s working on with Charlie Pickering ‘The Weekly‘ on ABC TV… Hilarious! This entry was posted in Comedy, Lifestyle, Podcast and tagged ABC, ANZAC, ANZAC Day, blog, blogger, Charlie Pickering, comedian, Comedy, comic, Dan Burt, Dan Wilkinson, Daniel Burt, David Letterman, digital, director, Download, DSLR, entrepreneur, Free, Gallipoli, Good News Week, happy, Hot & Delicious, Hot & Delicious Group, Hot & Delicious Records, Hot & Delicious Rocks The Planet, Hot and Delicious, Hot and Delicious Rocks The Planet, hotndelicious, hotndelicious rocks the planet, inspiration, inspire, Late Show with David Letterman, Letterman, live each moment, London, Melbourne, MICF, music blog, new music, Normandy, photographer, photography, podcast, podcaster, podcasting, shot of the day., Skithouse, SLR, social media, stand-up, startup, The Glass House, video, Villers-Bretonneux, Weekly, Weekly ABCTV, Woody Allen, YouTube. The Aussie trek to Gallipoli – ANZAC Day 85th Anniversary Gallipoli trip & podcast. 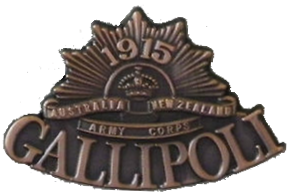 DOWNLOAD the PODCAST – #127 ANZAC Day – A trip to Gallipoli (Turkey) SOLOCAST. It’s 1am and I’m struggling for sleep, so I put the pen to page to release thoughts that have been burning a hole in my brain.. my journey to Turkey to experience ANZAC Day’s 85th anniversary on the Gelibolu (Gallipoli) Peninsula. This week I recorded a Bondi Beach Radio show and Hot & Delicious Rocks The Planet! podcast that I created around ANZAC Day, my trip to Turkey for the 85th anniversary of the dawn landing in Gallipoli and what April 25th means to me. Download it here. On April 23rd my flight touched down in the beautiful city of Istanbul and we hit the road in the station wagon that was to be our home for the next few days. After a brief encounter with a Turkish policeman (clip-on koalas are great for avoiding speeding fines ;)), we arrived in Eceabat on the Gallipoli Peninsula, parked our “hotel” on a grassy lot across the road from Vegemite Bar and immersed ourselves in the local culture… ah, I mean drank copious amounts of 500ml Efes beer cans with other Aussies/Kiwis who’d made the trek to Turkey for ANZAC Day. The next morning with dusty heads we headed off to the nearby ANZAC Cove and surrounding battlegrounds to learn about Australia’s first foray into war as a country in it’s own right. 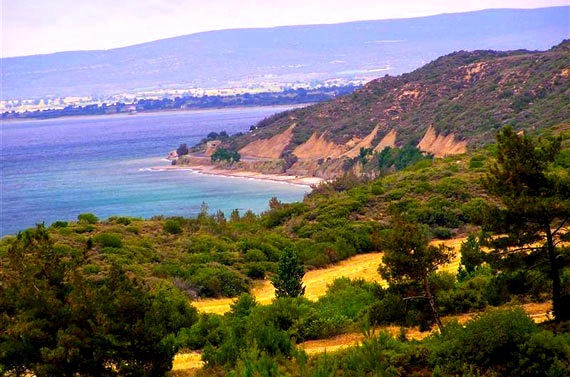 For the uninitiated, during World War 1 Allied forces were sent ashore at ANZAC Cove to capture the high-ground overlooking the Dardanelles, the strait of water connecting the Aegean and Black Seas. 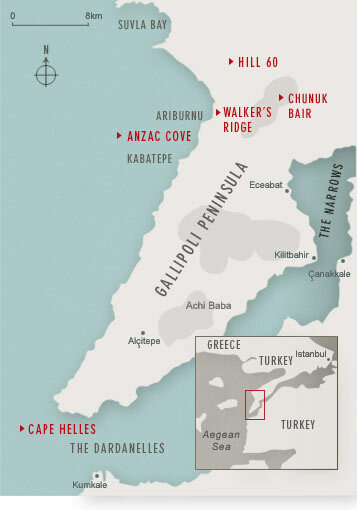 Securing the Gallipoli Peninsula would mean being able to protect Allied ships being sent to re-supply and support the Russians who were under heavy threat by advancing Turkish forces. In the cold dark dawn of April 25th 1915, our Aussie diggers hit the beach below sheer cliffs which meant initially that less than a few hundred Turkish soldiers were required to hold their ground against thousands of ANZACs whilst the commander of the Ottoman forces, Mustafa Kemal, (later known as Atatürk, the founder of Turkey) mustered the Turkish 19th Division to contain the ANZAC troops. All these emotions and a moving pre-dawn service on the crowded foreshore left a lump in my throat and tear in my eye. It is for this reason that every ANZAC Day no matter where in the world I am, rain, hail or shine, I rise in the early hours to attend the ANZAC Day Dawn Service. Melbourne’s Shrine of Remembrance has been my port of call in recent years and to this day whenever I stand in silence for the Ode of Remembrance and the bugle call of The Last Post, the memories, goosebumps, lump and chills return. It’s just impossible to fathom the sacrifice of our ANZACs both past & present.. but this is what ANZAC Day means to me… This is what it means to be Australian..
2 weeks ago I saw a request on @theright.fit influencer app to create content for @DefenceCare, their 2017 ANZAC Appeal and I immediately jumped right on the opportunity. The funds raised by donations to the ANZAC Appeal go directly to Australian service men and women with physical injuries and mental illnesses. Ever since my Turkey trip in 2001, I attend the ANZAC Day Dawn Service every year as I feel, regardless of your perspective on military service and war, that those past and present who have sacrificed their time and lives in the service of our country and way of life are to be championed, supported and adored. I’m wearing my ANZAC Appeal badge all weekend and if you too would like to make a small, but positive impact on the life of another person today, then head on over to http://www.anzacappeal.com.au to buy a pin or make a one-off donation. I’m also wearing my grandfather’s medals at the Melbourne Shrine of Remembrance ANZAC Day Dawn Service on Tuesday. I never knew him as he was tragically killed in an accident just 6 months after my parents got married in an accident 1968, but my dad tells me that I am a lot like my grandfather in appearance and personality, so finding his photo albums of his military service in the Middle East and Kokoda in World War II, seeing his service records and wearing his medals for the first time this year brings me closer to him and makes me happy. Be selfless and make someone else’s day today. Head on over to http://www.anzacappeal.com.au. This entry was posted in Music and tagged ANZAC, ANZAC Day, Atatürk, Aussie, Dan Wilkinson, Dawn Service, Eceabat, Gallipoli, Gelibolu, Hot & Delicious, hotndelicious, The Dardanelles, The Shrine, Turkey, World War 1.